Galaxy S8 lacks a dual-camera, which is exactly the kind of smart business strategy Samsung laid out in order to force consumers to purchase the Galaxy Note 8 in order to get their hands on exclusive features such as Portrait Mode and optical zoom functionality. 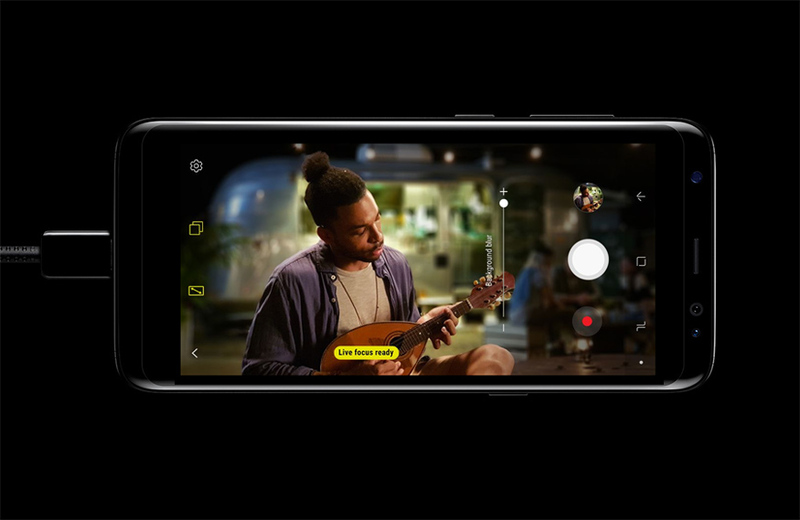 However, the Portrait Mode uses software and camera hardware tricks in order to blur the background from the foreground, making the latter appear more prominent and from what we have seen from the Pixel 2 camera, you honestly do not need a secondary shooter to make this happen. Through a software update, the Galaxy S8 could allow users to start blurring the background to improve the image quality thoroughly. It is yet to be confirmed if the update will give users the same control in tweaking the background’s blurred limit to their liking but it looks like we will be hearing something from Samsung very soon. If such a thing is possible, then other manufacturers could also attempt to follow the same suit in incorporating Portrait Mode in current or even future phones that ship with a single lens module but there will be limitations to using that camera. Firstly, lack of a dual-camera setup will mean that Galaxy S8 users will not have access to optical zoom and will have to rely on digital zoom to get the work done. In short, digital zoom might help them focus on the subject, but at the cost of crippling image quality. Phone manufacturers will also not be looking to add retractable lenses in mobile phones since that will drastically increase the thickness of these devices so single-lens camera modules with a Portrait Mode is a godsend indeed. To sum everything up, having more than a single camera lens is always beneficial. What do you think about the potential update to bring the Portrait Mode feature to Galaxy S8? Tell us your thoughts down in the comments.